There’s no question that the energy system is undergoing change. 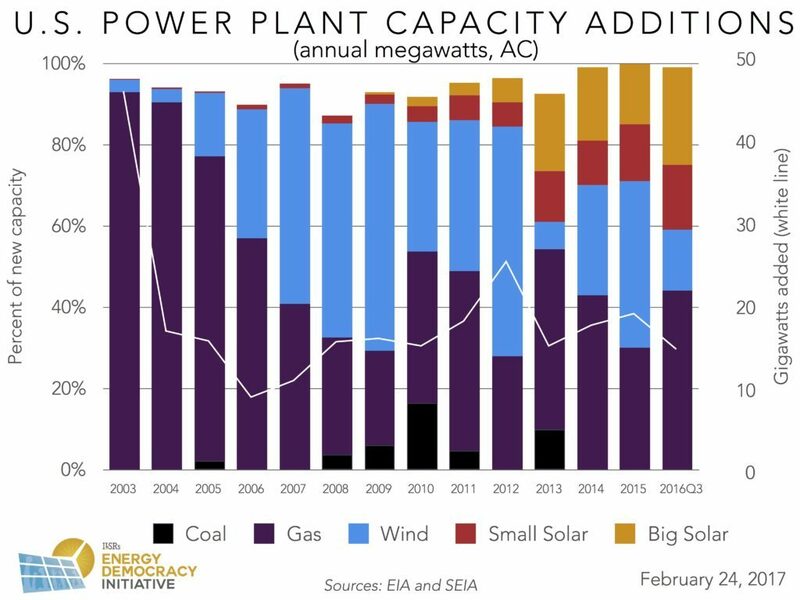 One need look no further than the 1 million solar rooftops in the US or — for the wonky — the source of new power capacity in the US over the past 15 years. 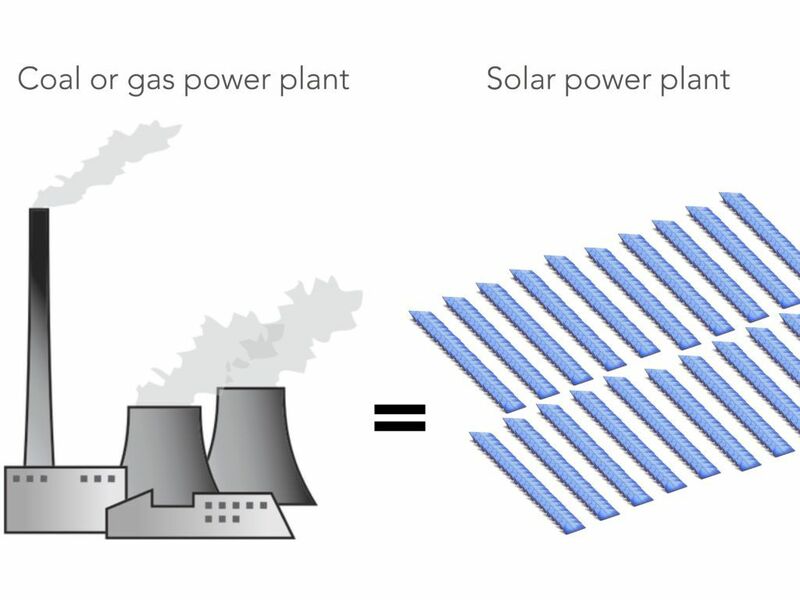 In 2003, just 20% of new electric capacity came from renewable power plants. In the last eight years, it’s been at or over 60% almost every year. In the first three quarters of 2016, 16% of our new power capacity came from distributed solar alone (such as home rooftop solar arrays). Power generation is the first line of democratization, brought on by the miniaturization of power plants. Last century was defined by gigawatt-scale nuclear and coal and hundred-megawatt-scale gas power plants. Now, power generation has shrunk down to multi-megawatt wind turbines and multi-watt solar panels. Even the largest wind and solar power plants are compilations of hundreds or thousands of mass produced individual turbines or solar cells. The miniaturization of power generation allows for decentralization. Wind and solar power sources don’t rely on pipeline infrastructure or railroad lines, but can be built wherever we can economically harness the resource — nearly everywhere. Decentralized power generation has several positive effects. 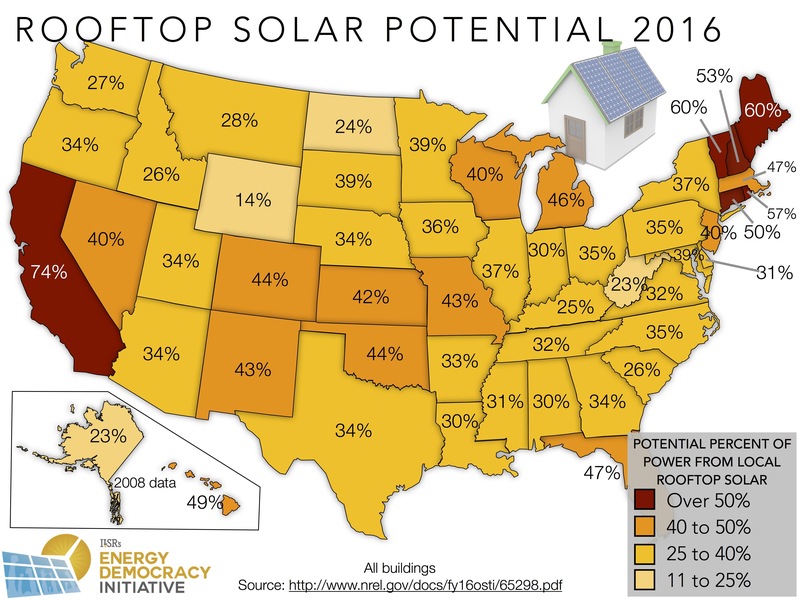 It’s complementary to wind and solar power, which are less variable when spread out over a wide area. It makes the grid more resilient by reducing single points of failure. It reduces the cost of transmission. It even reduces energy use, as when rooftop solar provides shade as well as power to its host building. 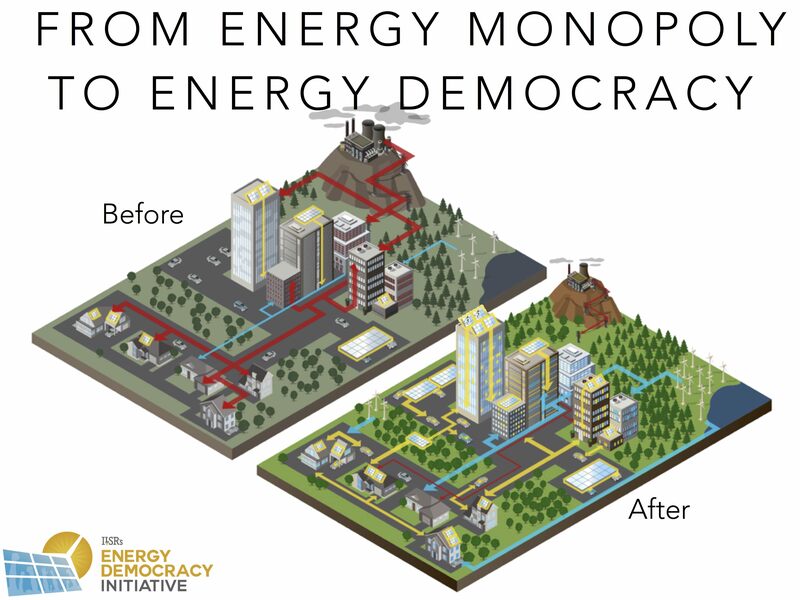 Decentralized and miniaturized power generation also democratizes ownership. When power plants can be financed by ordinary citizens and can be located anywhere, it’s no longer necessary to restrict ownership to utility companies. Instead, millions of residents and businesses can own a stake in their energy future, and invest in keeping more of their community’s energy dollars at home. For example, every megawatt of solar installed locally adds $2.5 million and 20 construction jobs to the local economy. 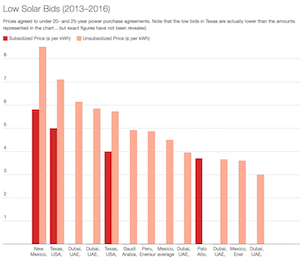 In its 25-year lifetime, a locally owned solar project will redirect an additional $5.4 million of electricity spending back into local pockets. 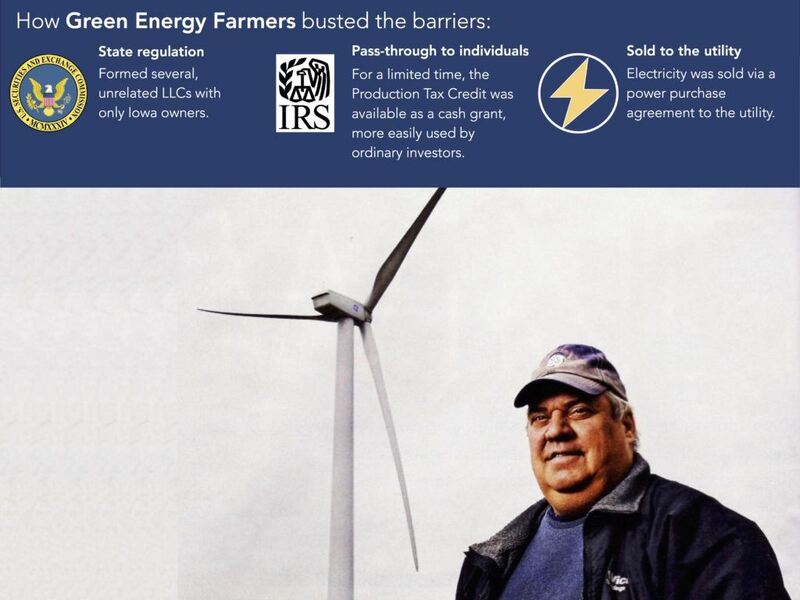 The following illustration showcases another potent example of local ownership, where dozens of Iowa farmers invested in wind projects which sell power to the local electric cooperative, and reap tens of thousands of dollars in annual revenue. The democratization of energy goes further than the technology and ownership of power generation. It encompasses access to new communications technology and the exponential growth (and reduction in cost) of several complementary technologies like batteries. A decade later, enormous improvements in hardware and software (without increasing prices) allow these devices to show the output of a solar array, track energy use in real time, or adjust a thermostat from hundreds of miles away. The merging of new energy technology with communications technology is what Jeremy Rifkin calls the Third Industrial Revolution. 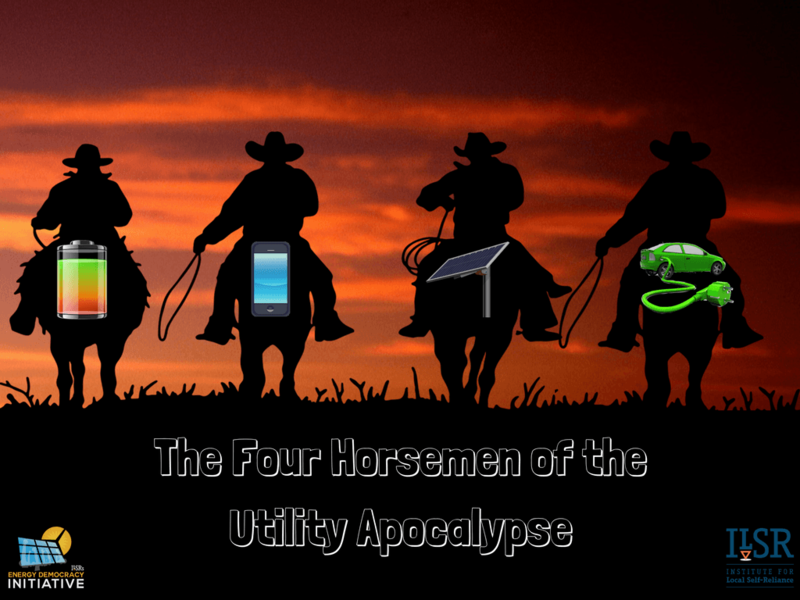 These proliferating smart devices aren’t just democratizing control with internet connections to energy devices, but are driving exponential growth in battery use and a corresponding decrease in the cost of energy storage. 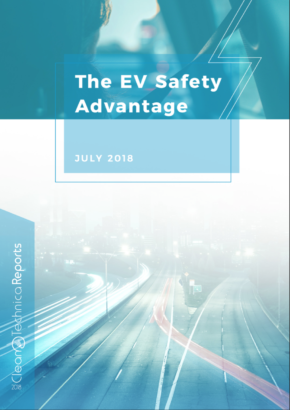 The same battery technology powers electric vehicles, opening an entirely new market for electricity at the same time distributed technology is threatening the incumbents. This disruption is even greater for inter-related technologies. As ever-cheaper solar spreads, demand for battery storage grows to aid its integration into the grid. 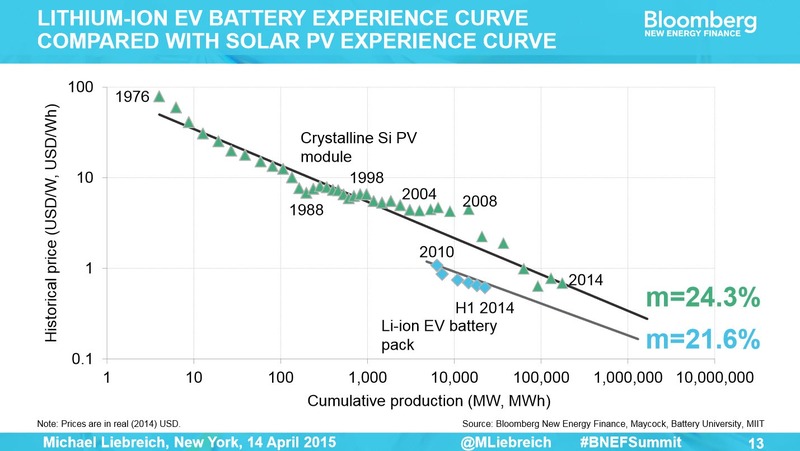 But demand for batteries drives down their cost, making solar and storage even more desirable. 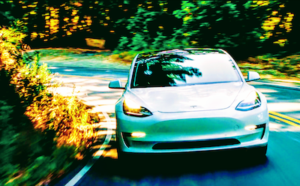 Electric vehicles amplify this effect, offering a roving source of storage and another market for batteries, further reducing costs (and making electric cars more affordable). What might have felt like a distant transformation in some ways seems almost unstoppably close, given the nature of exponential growth. 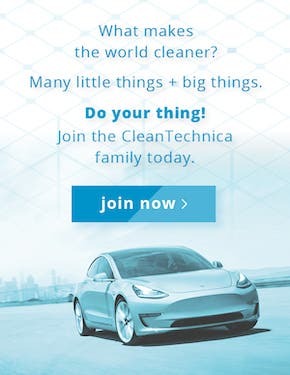 Solar, batteries, and electric cars will completely undermine the existing business model of the electricity system, and put the power of energy generation and energy storage into the hands of its users. 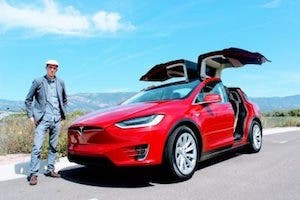 In his 2014 book, Tony Seba calls this “Clean Disruption” and his subtitle suggests that “Silicon Valley Will Make Oil, Nuclear, Natural Gas, Coal, Electric Utilities and Conventional Cars Obsolete by 2030.” In a presentation given last year in 2016, however, he suggests the timeline is even shorter. 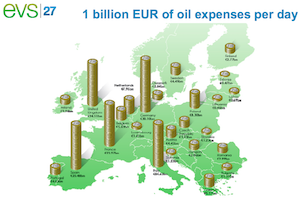 These disruptions open the door to transition from energy monopoly to energy democracy. A massively expanded grid will power vehicles as well as buildings and devices, and that power will come from everywhere. One resident’s rooftop solar array will share power at noon, while another will offer stored energy from an electric vehicle or standalone battery in the evening. A local hardware store will provide the expertise to install solar but also fast charging for electric vehicles, whose batteries will help cut daytime demand charges from the grid management company. A retail store will offer low-cost charging from its solar parking lot canopy, and use the plugged-in cars to offer frequency regulation services to the grid manager. The utility won’t build power plants or centrally control the grid anymore, but will manage the market, facilitating these neighborhood transactions that serve the users and the greater grid. The following graphic illustrates the evolution. 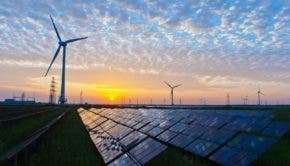 The remarkable growth in renewable energy has shifted the sources of power for the electricity system, but the technological revolution to come promises to transform the powers that be, and give former energy customers the chance to take charge of their energy future.